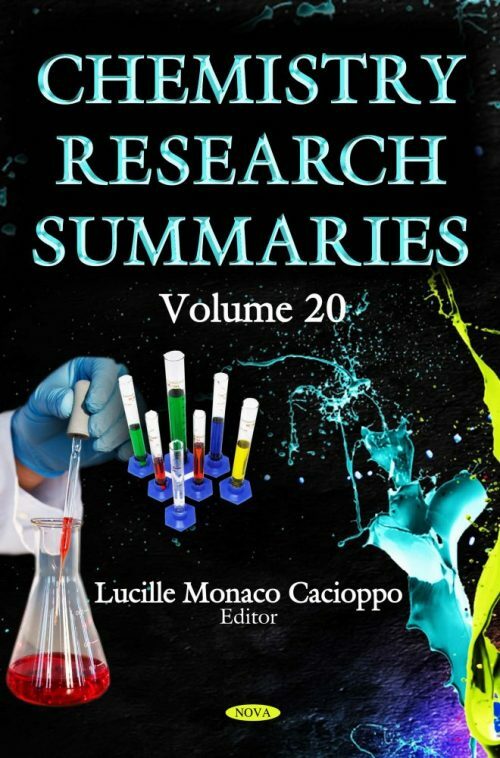 This book is a continuation of the book Chemistry Researcher Biographical Sketches and Research Summaries which compiles biographical sketches of top professionals in the field of chemistry research, as well as research summaries from a number of different focuses in this important field. Chapter 49	Oxidative Stress in Rheumatoid Arthritis: Can Anti-Oxidants Have a Beneficial Effect? Chapter 50	Is the Beneficial Effect of Green Tea, Wine, Olive Oil and Coffee the Consequence of Low Concentration of H2O2 Formation and Its Hormetic Response? Chapter 72	Lipid Peroxidation in Autoimmune Diseases: Friend or Foe?